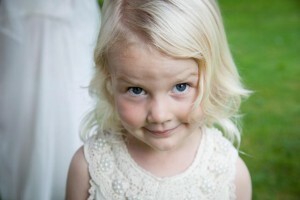 I have been lucky enough to photograph some friends’ children marrying recently. 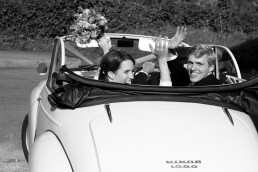 Hermione and Benjie’s wedding last Summer was one such and it was a beautiful day to be a part of. 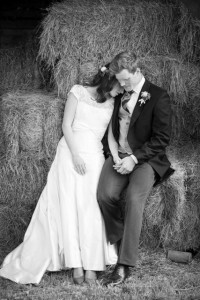 The wedding was at their stunning home in Somerset where they’d cleverly installed a Marquee inside a barn. 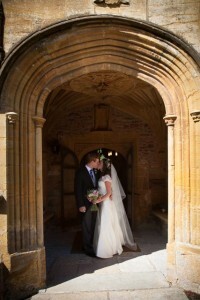 The sun shone all day and night; Hermione looked stunning in her wedding dress made by the very talented Emma Victoria Payne; the ceremony was perfect and the speeches terrific. 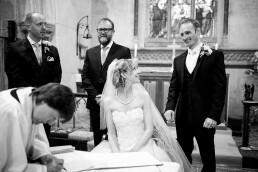 Often when I photograph a wedding the most rushed part of the day is after the bride has put her wedding dress on and before the wedding ceremony begins. But at Leonie and Andy’s wedding in October last year, not only did we have amazing weather but we had enough time to do some stunning portraits on the beach before the ceremony with Leonie and their little daughter Eva. 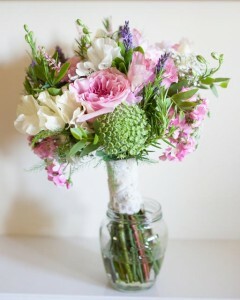 Higher Orchard Wedding Receptions - Perfect wedding location! 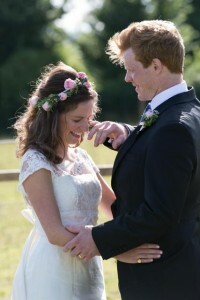 I recently did a Wedding Photo-shoot at Higher Orchard, a stunning new venue for Wedding Receptions near Sherborne in Dorset. This is a beautiful, private location with lake, lovely gardens and wonderful views set in the magical Dorset countryside. 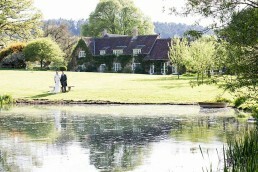 If you want a country house wedding, but don’t have a country house, then this is the place for you. Hosts Fiona and Roger Potter could not be more empathetic or relaxed. As well as offering their amazing gardens, they can also provide an architect-designed cottage for the bride and groom to stay in, secretly concealed behind a log façade. 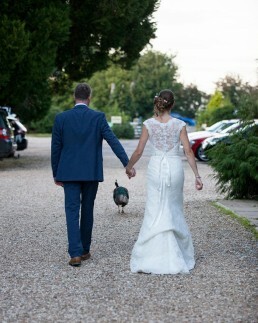 With acres of fields in which guests are welcome to camp and a flat lawn for a MQ, the Potters have everything you need for a truly stylish country wedding. 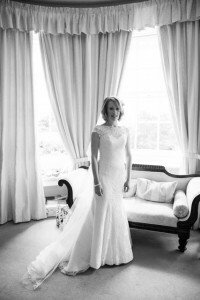 Susan Hinckley from Parham House Brides for supplying the beautiful wedding dress : ‘Rosabella’ dress by Suzanne Neville – made of Italian Matt crepe with hand appliqued embroidery. It has a sweetheart neckline and soft fishtail shaped skirt. Thanks too to Astaires for kindly lending us a morning suit; Gemma and Matt & my daughter Jessie for modelling plus Ignacious & the Potters, and Milly the Labrador! 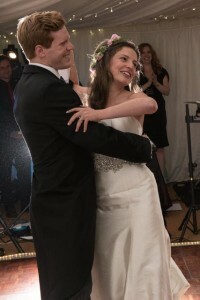 Also thanks to Elouise Abbott for makeup and Helen Cass for hair design. Finally, a Big thanks to Emma Urquart from Brompton Buds for the fabulous bouquet and the Potters for making us all feel so at home. 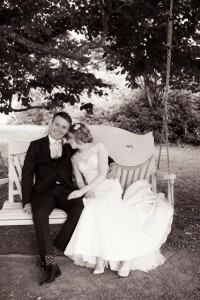 "From the moment we met you we felt you were going to be the right photographer for us and you proved us right. You're awe-inspiring, creative, imaginative, passionate and unique. We cannot thank you enough for capturing our day in the way that you did. Your professionalism and dedication made your participation in our day as successful as it was. 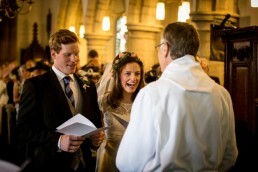 Thanks to you we will always be able to share and reflect on our happy day through your images." Charlotte & Dan. 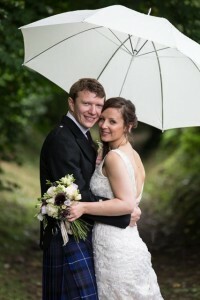 Bex and Sean were married late in August at the cosy Combe House Hotel on the beautiful Quantock Hills in Somerset. We were so lucky as after a sodden Friday, the sun shone for most of Saturday, only disappearing briefly when Sean and Bex and I went for our 10 minute walkabout. 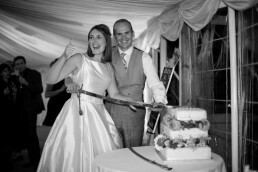 This was particularly welcome as Sean and Bex could then have a stunning outdoors ceremony in front of the hotel and champagne on the lawn afterwards. 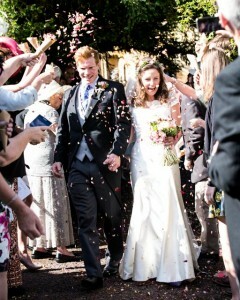 Without doubt, the Combe House Hotel’s chef provided the best wedding breakfast I have ever had! Thanks for looking after us so well! 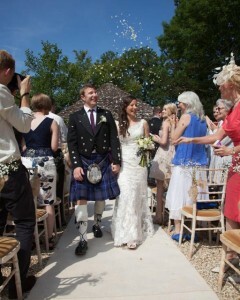 And Sean and Bex never stopped smiling the whole day! Just perfect! 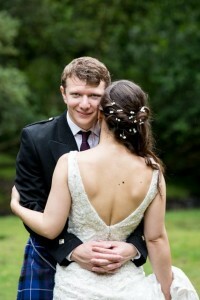 Thank you for asking me to be your wedding photographer and thanks too to my able assistant Paul. Lovely Lianne Ardren (HairByLianne) did Bex and her bridesmaids’ hair and the dress was by Maggie Sottero from Rookery Manor. I was particularly thrilled to be asked to photograph Lucy and Charlie’s wedding this Summer since it was my 2nd wedding for Lucy’s family – Her lovely sister Sophie got married a few years ago and I was lucky enough to be her wedding photographer then so it was fantastic to see all the family again. 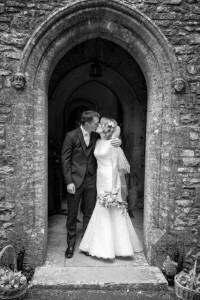 Lucy and Charlie were married in Luppitt Church in Devon and had their reception at the stunning Deer Park Country House Hotel. 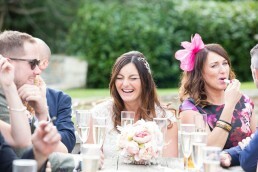 It was the most fabulous day with much laughter and joy, fabulous speeches and two bands. 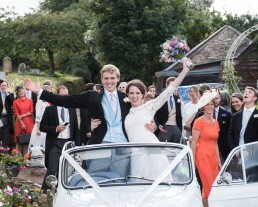 Lucy’s stunning dress was from Kate Walker in Honiton. 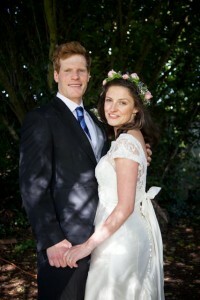 Fay Venner did makeup and Ellie Greensmith of Elk Exeter did a fab job on Lucys hair. Lucy and Charlie spent their first night in Deer Park’s funky and luxury Tree House. 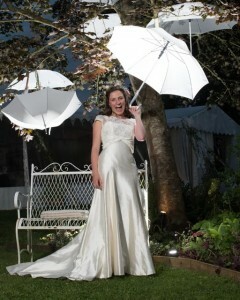 Many thanks to Mark Cox who who was my second photographer.